Want to replace the chemical laundry products you’re currently using with something natural? Not sure how to clean your clothes using the best essential oil for laundry tasks? We at Home Health Living have come up with recipes using the best essential oil for laundry cleaning. 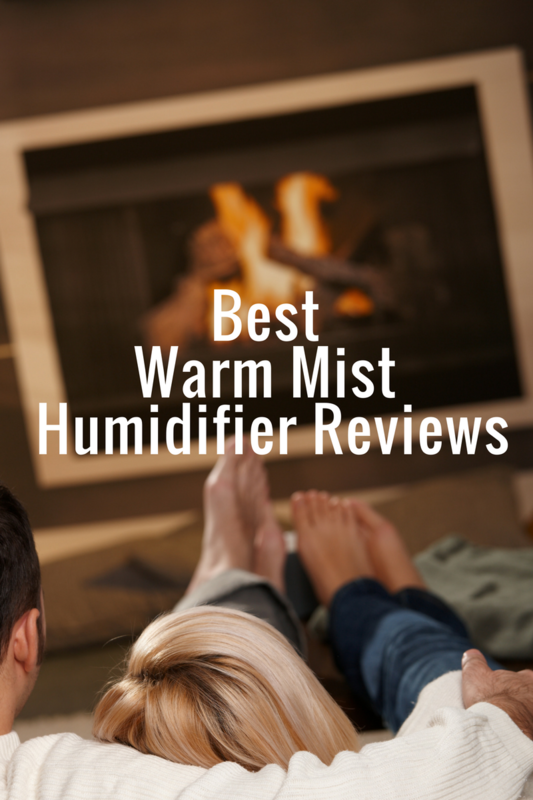 You’ll be left with clean, fresh-smelling clothing and linen using safe, natural and environmentally-friendly essential oils. 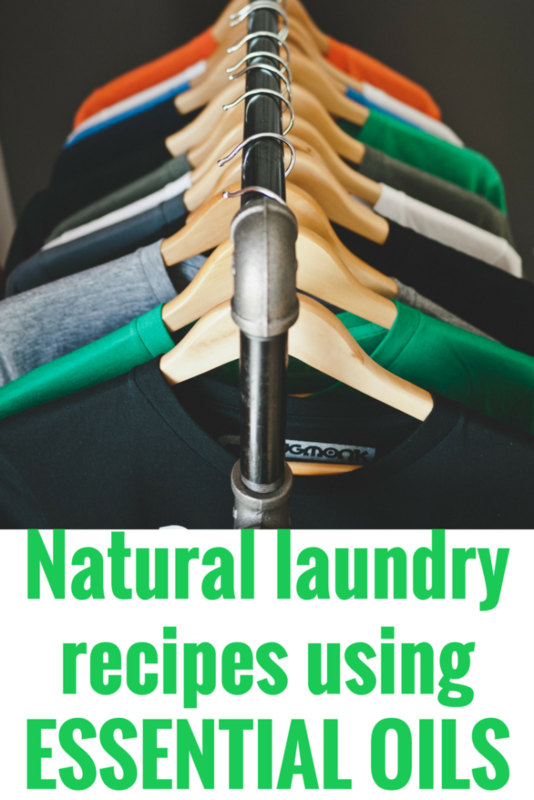 We first started looking at using natural laundry products when we had children. Regardless of whether you have children or not, EVERYONE should be using safe, natural and environmentally friendly products in the laundry. Our skin absorbs everything, including the chemicals found in clothing. This is why using natural products is important, combined with the best essential oil for laundry that will leave your garments clean and smelling fresh. Here are 7 effective recipes using the best essential oil, that you can use when doing the laundry! Place clothing in the washing machine and fill the machine with warm water. Mix ingredients together and add it to the wash. Don’t start washing your clothes yet- leave them in the machine, soaking in the mixture for an hour before starting your wash cycle. Mix ingredients together and add water until a thick paste forms. Apply the paste to the sweat stains, and leave to soak for an hour before washing. Mix the ingredients and pour into a glass spray bottle. Do NOT use plastic, because citrus oils can eat through the plastic. Spray the stain remover onto the stain, and then sprinkle some corn starch on top. Leave it to soak for 10 minutes, then rinse before washing the garment. Sprinkle Cream of Tartar onto the grass stain, then let it sit for 10 minutes. Rinse the garment. Mix the remaining ingredients together and rub it onto the grass stain. Wait for 10 minutes, rinse the garment, then wash it. Using a grater or food processor, grate the bar of soap until it’s a fine powder. This will help it dissolve in the wash. Mix the grated soap with the washing soda and borax, then add the essential oil and stir the mixture. Store in a glass jar. Use 2 tablespoons per load of washing. Mix all ingredients well, and store in a plastic container with a spout (the lemon essential oil shouldn’t damage the plastic because it’s being diluted). Prior to using, shake the container and use ¼ cup per load of washing. Mix together and store ingredients in an airtight glass container. Use 2 tablespoons for each wash, and add it before the rinse cycle. Using essential oils in natural laundry cleaning recipes helps give your garments a clean, fresh smell. 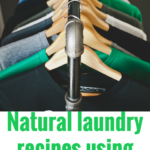 You don’t need to use chemicals in the laundry, and making your own natural cleaning products is easy, cost effective and healthy for your family and the environment. 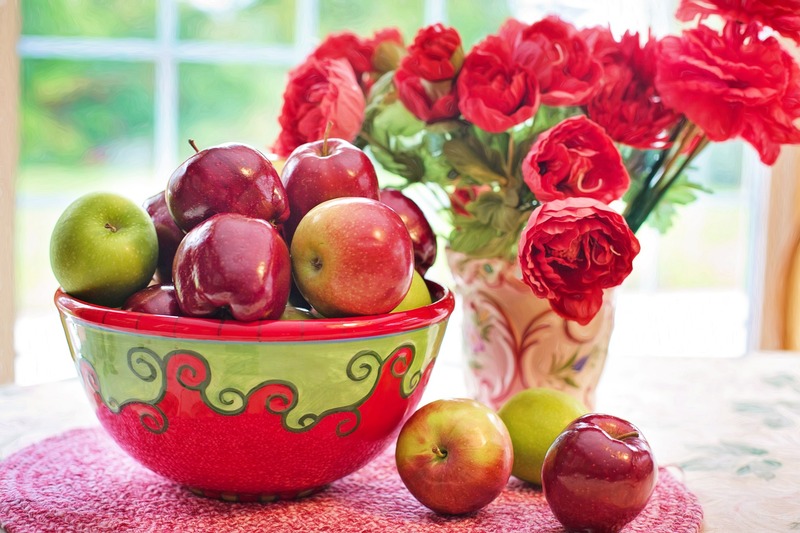 Are there are any other natural cleaning recipes that you use in the laundry? What essential oil blends do you use to give your garments a fresh smell? Share your ideas below! Liked this post? Pin and share it!